An unexpected twist of fate is helping South African renewable energy developers. 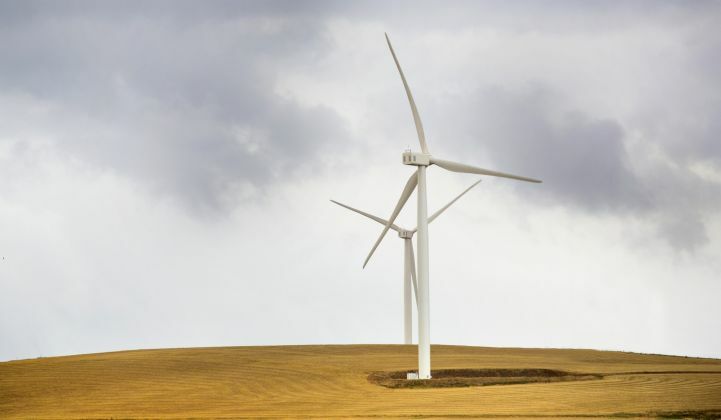 Renewables developers are celebrating after South Africa’s Minister of Public Enterprises unexpectedly signed off on power-purchase agreements this month. The decision ended years of uncertainty for Renewable Energy Independent Power Producers Procurement Program (REIPPPP) winners, which had worsened in recent months as state-owned utility Eskom faced bankruptcy. Bankruptcy concerns were also mollified with news of a R5 billion (USD $400 million) bridge loan for Eskom, provided by the South African investment corporation and a government employees pension fund. “The loan will fund the company’s operations during the month of February 2018," said the lenders in a press statement. The announcement signals growing confidence in board-level changes that Eskom has initiated since its financial problems came to light. With new leadership and interim funding now in place, there are hopes Eskom could move forward in finalizing renewable energy power-purchase agreements (PPAs) within as little as three months. Since Eskom passes on the cost of renewable generation to its customers, there is no reason to further delay the execution of the PPAs, South African energy commentator Chris Yelland told GTM. And in a press note, Public Enterprises Minister Lynne Brown confirmed that the PPAs she had approved related to the REIPPPP bid windows. This should effectively cover all the projects awarded through South Africa’s renewables program that do not already have a PPA. “I have requested Eskom to work expediently to implement the decision and avoid further delays,” Brown said. Yelland said the recent changes are likely linked to an impending change in South Africa’s political leadership. President Jacob Zuma faces intense pressure to step down amid allegations of corruption linked to Eskom. It seems likely that a successor will want to dispel transparency concerns by rapidly honoring contracts issued under the program. Lawyers told Eskom and the government that it would be illegal not to go ahead with the PPAs at the prices agreed upon in auction, Yelland said. Eskom is now almost certain to abandon plans for new nuclear plants, opening the door for renewable energy procurement in the future. The results showed a 34 percent fall in interim profits for the half year to Sept. 30, following a corruption scandal last year that saw Zuma putting pressure on Eskom to sign contracts with his business partners. The utility could potentially choose between at least half a dozen long-term financing options. It could negotiate with lenders to convert debt to equity, for example. Or it could sell non-core assets, or seek a capital injection from its sole shareholder, the South African government. Other ways out might involve going public, selling part of the business to strategic investors or simply cutting costs; Yelland said Eskom’s staffing levels could be up to three times what the business actually needs. Almost all of these decisions would involve the government, which could complicate matters. But observers are ultimately confident a solution will be found, because an Eskom collapse would have a material impact on the South African economy.